Yesterday we looked at an urban-inspired collection at Kohl's. Today I want to continue that more cool, industrial trend with grommets. 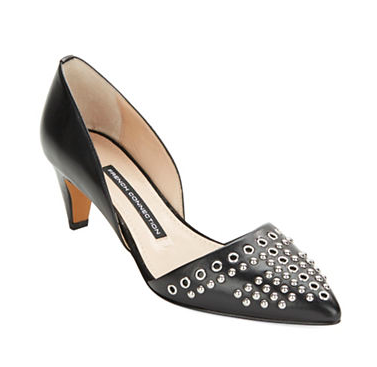 These simple embellishments pack a punch and when styled correctly provide a touch of rocker to any outfit. I'm starting with my favorite piece. 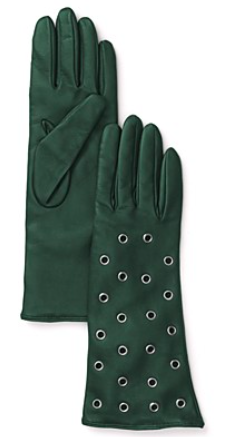 Not only are these gloves the perfect length, the color is stunning. 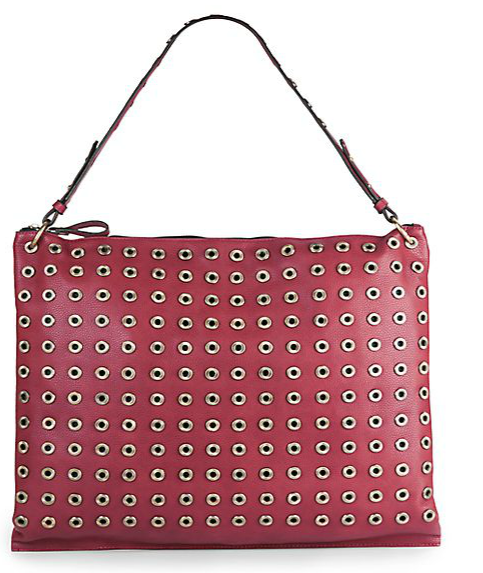 60% off, this bag is a great accessory to balance out a fuzzy cashmere sweater. You may think these shoes aren't going to fly in your conservative office, but check out the mid-heel height and pair it with a tie neck blouse. 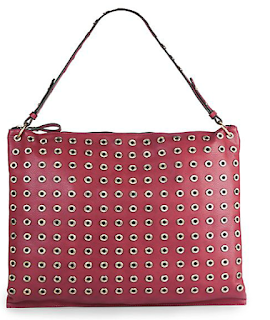 Just when you thought grommets were just for accessories. 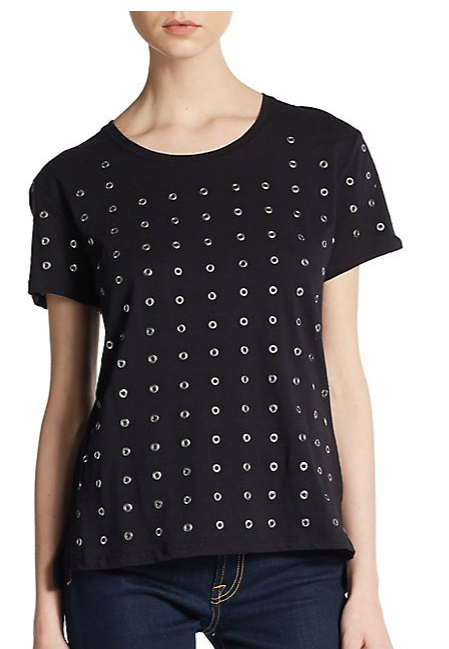 Picture this tee under a blazer. I lean more preppy than rocker, but this is a trend I can get behind. The subtle detail of the grommet is the perfect embellishment to an outfit. Grunge, chic, classic, you name it, grommets are here to stay.